Expecting good weather and plenty of ride time, took Giro’s Road Line to the SRAM 22 launch, wore it, and wrote this. Maybe if Giro had said, “We’ve made an urban line so nice, you’ll want to wear it on a century,” their new clothes wouldn’t cause us to pause so much with, “what?” They’re marketing it as the new road uniform with loosely tailored fit and muted colors. There’s a market for more urban wear and anyone who wants to ride without stopping to change before a meeting, sure. That’s not what this line is though and isn’t priced for the commuter at $300.00 for shorts and jersey. We expect the highest quality wool at that price, soft and breathable, complimenting a jersey like this Ibex in the cycling closet. Giro wants you say to your office mate that asks about riding more, but not in kit like a racer, try this out. Expect him to balk at putting that much money on his credit card. The bike he’s riding likely costs that much. He’ll lock it up outside a Banana Republic and shop, where the styling from this line could hang on racks, as new active wear for spring. It is nice kit with some of the pieces sewn in Santa Cruz, but like their skull-shaping, aero helmet, we don’t get the aesthetic or racing in classic, lace-up shoes. I could hear Tim Gunn saying, “Edit, edit, edit!” when I tried to put various things into the shoulder pockets. Are those pockets or maybe shoulder marks for your Fondo insignia? Note: Neither, we later learned they’re vents. That they decided to compete with Rapha is good and deserves praise, as does more consumer choice in a bike shop. Why should one brand define what a generation wears or tell us that pink is manly and non-sanctioned racing is what gentlemen do? 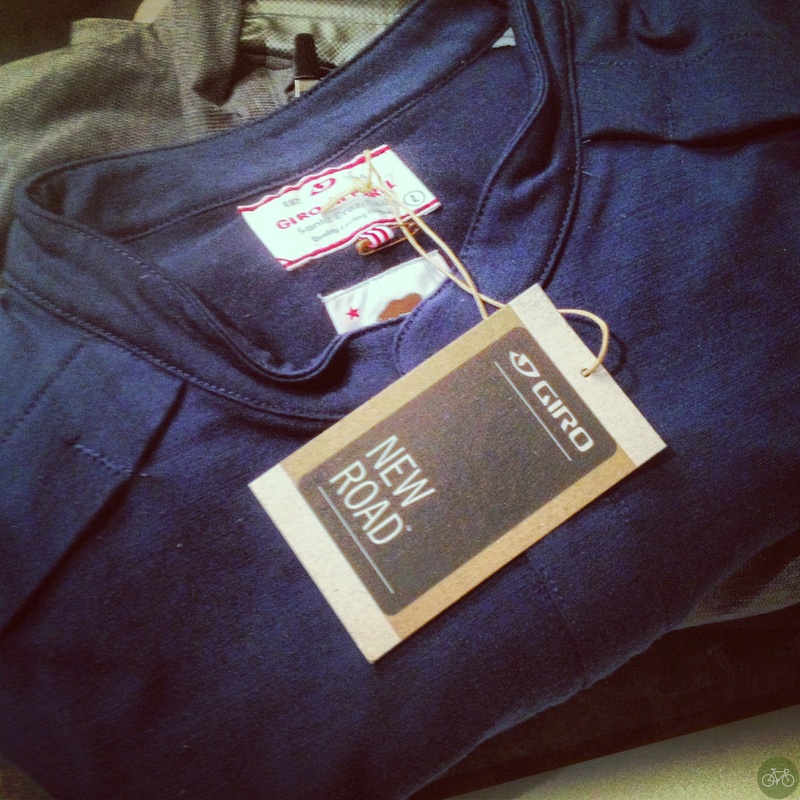 Giro wants to tap into a market that others have tried, like Levis, with a Gap-like line. It’s upscaled, mature, and from a name you know. We’ve been waiting for something like this too — another fashion release from a major cycling brand after being disappointed by jeans that don’t fit our thighs. That Giro went with industry-wide “research memes” like retro tell us they went down a checklist. Minimal, check. Details, check. That perceived production process is why we press pause instead of continuing to enthusiastically shuffle through their offering like a new album from a favorite band. Do they ride like us? Is their lifestyle pitch from cyclists or marketers with an unchecked creative director designing pockets that have no purpose? It’s not that we don’t like or dislike Giro’s new road line. Our enthusiasm for the line is as muted as their colors. 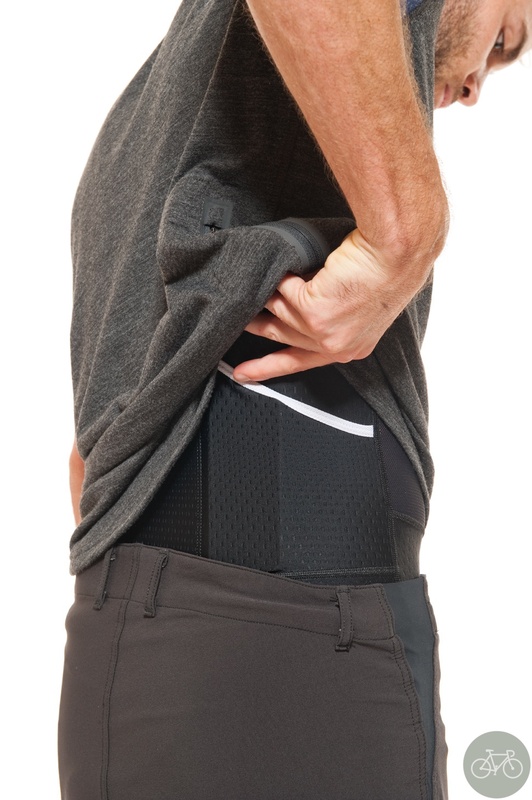 You can dress yourself like a peacock or a mule in the sport now and unzip to use a fly, instead of pulling the front of your shorts down. Progress for a nature break! Selle also has a short with fly, but it’s not hidden underneath baggy shorts. Giro’s Road line is a retail gamble that may or may not pay out. That they tried and threw their cards down on the table, where Rapha plays deserves respect. Many play there with wool like Ibex, Icebreaker, and Outlier. The mark for us of quality wool is how well it survives the wash and wear cycle. We’ll wait as long as possible to wash the shoulder-pocket jersey, expecting it to lose its shape. 5 years ago Ibex worked wearability issues like that out. Also how to make a wool jersey that feels soft against the skin with 17.5 microns instead of 18.9. Will this road line exist that long? Hope so and that we get to know the Giro crew better out on a ride. They’re off to a good start and suggest the next evolution ship with color, better fit, and details that we understand. Giro’s New Road line is available at your local bike shop and online. For more on Giro’s Road line, see this tag. 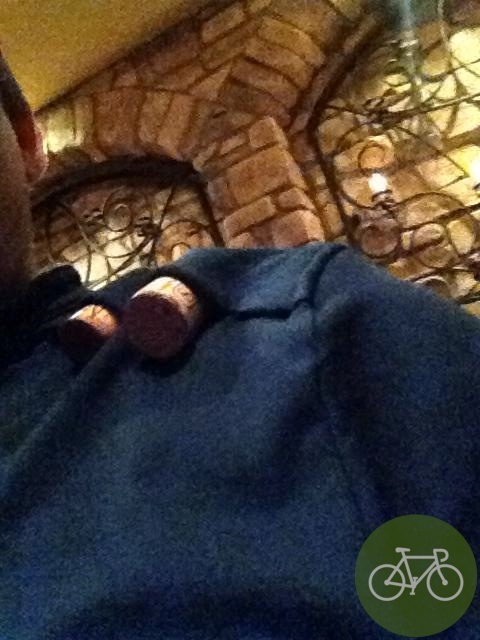 Those aren’t shoulder pockets for corks or 1/2 a pepperoni stick, but vents. After posting this review, Giro wrote to tell me that and also note that one of their VPs is a former pro who can still climb.